Through April 15 – “All My Sons” at the Warehouse Theater in Greenville. This is the story of two businessmen and friends who send faulty airplane engine parts to the military during WWII which caused the death of twenty one pilots, with one of the men going to prison while the other one lied and going on to have a successful life. For more information call (864) 2235-6948 or visit http://warehousetheatre.com/all-my-sons/. Through April 16 – “Something Rotten!” at the Peace Center in Greenville. This musical with 10 Tony nominations is set in 1590 telling the story of two brothers wh want to create a hit play but Shakespeare keeps outshining them in this hilarious Broadway hit. For more information call (864) 467-3000 or visit http://www.peacecenter.org/events/detail/something-rotten. April 13 – 15 – Living Gallery: “The Saviors Call” at Bob Jones University in Greenville. This unique program combines original drama, choral and orchestral arrangements, and amazing live portrayals of classic works of art in celebration of the Easter season. For more information call (864) 241-1634 or visit http://livinggallery.bju.edu/. April 14 – NXT Live at the Spartanburg Memorial Auditorium in Spartanburg. Presented by WWE with performers including NXT Champion Bobby Roode and Women’s Champion Asuka, as well as Shinsuke Nakamura, Tye Dillinger, and more! For more information call (864) 582-8107 or visit http://www.crowdpleaser.com/calendar/190/NXT+Live. April 14 – Roald Dahl’s “James and the Giant Peace Jr.” at the Chapman Cultural Center in Spartanburg. This fun musical tells the story of James and his amazing journey where he finds courage and self-discovery. For more information call (864) 542-2787 or visit https://www.chapmanculturalcenter.org/pages/calendar/detail/event/c/e242/. April 14 – 15 – Pickens Azalea Festival on Main Street in Pickens. Celebrate spring with the beauty of the azaleas in full bloom, while enjoying crafters, artisans, entertainers, as well as food and beverages! For more information call (864) 508-6483 or visit http://pickensazaleafestival.com/. April 15 – Certified Organic Plant Sale at Greenbriar Farm in Easley. Get your garden off to a start with healthy organic starter plants started on the farm, as well as visiting with vendors with landscape plants, and even grass fed meats. For more information call (864) 855-9782 or visit http://www.greenbrierfarms.com/plant-sale. April 15 – Gardens Then and Now at the Hagood Mill Historic Site and Folklife Center in Pickens. Talk with local farmers and participate in an heirloom seed swap and plant sale. For more information call (864) 898-2936 or visit http://www.visitpickenscounty.com/event/1636/gardens-then-and-now/. April 15 – 5K Challenge Race at South Cove County Park in Seneca. This event is a 5K, a 1 Mile run/walk, and a fun run with proceeds to benefit Volunteers in Medical Missions. For more information call (800) 615-8695 or visit http://www.vimm.org/index.php?page=5k. April 17 – 21 – Greenville County Senior Games at various locations around Greenville. Events will include basketball, badminton, track and field, corn hole, disc golf, and more! For more information call (864) 288-6470 or visit http://greenvillerec.com/event/seniorgames/. April 18 – Maya Angelou Power of Words Talk at the Hughes Main Library in Greenville. This talk is led by Glenis Redmond, known as the “Road Warrior Poet” and believes poetry is a healer. For more information call (864) 244-1499 or visit http://www.greenvillechautauqua.org/?event=maya-angelou. April 18 – Tamassee DAR School Benefit Golf Tournament at The Cliffs Valley Golf Course in Travelers Rest. This event is in support of the children who come to this place of refuge, so come out and play on one of the best golf courses in the State! For more information call (864) 901-4543 or visit https://www.tdarschool.org/event/5th-annual-tamassee-benefit-golf-tournament/. April 18 – “Black Grace” at the Peace Center Concert Hall in Greenville. Having earned the title of New Zealand’s best contemporary dance group, this performance with a South Pacific inspiration is a show you will certainly enjoy. For more information call (864) 467-3000 or visit http://www.peacecenter.org/events/detail/black-grace-choreographer-neil-ieremia. April 19 – “Home Free” at the Peace Center in Greenville. These 5 vocalists will amaze you with absolutely no instruments! For more information call (864) 467-3000 or visit http://www.peacecenter.org/events/detail/home-free. April 20 – 22, 24 – 25 – “Macbeth” at Billingsley Theater in Tigerville. The shortest of Shakespeare tragedy’s, this is the tale of a Scottish general (Macbeth) receives a prophecy that he will become the King of Scotland and here the tale begins. For more information call (864) 977-7000 or visit http://www.ngu.edu/theatre-season.php. April 20 – 30 – Greater Clemson Music Festival at a variety of locations in the Greater Clemson area. You’ll hear everything from reggae, rock, jazz, blues, gospel, and more. For more information call (864) 650-0585 or visit http://www.clemsonmusicfest.org/. April 21 – 22 – Lakeside Art and Music Festival at the Lighthouse Event Center in Seneca. Held on beautiful Lake Keowee, with music, artist demonstrations and exhibit, a container garden competition, food, a pirate cove for the kids, and a silent auction all to benefit the local YMCA. For more information visit https://foothillsymca.ejoinme.org/LAMF. April 21 – 22 – “Swan Lake Act 3” at the Gunter Theater in Greenville. This mix of classical and contemporary works will fill your event with awe and amazement! For more information call (864) 467-3000 or visit http://www.peacecenter.org/events/detail/swan-lake-act-iii-other-works. April 21 – 22 – “An American in Paris” at the Chapman Cultural Center in Spartanburg. Travel to Paris during World War II and experience a romance between an American painter and a Parisian girl. For more information call (864) 542-2787 or visit https://www.chapmanculturalcenter.org/pages/calendar/detail/event/c1/e275/&DateOfEvent=04/21/2017. April 21 – 22 & 29 – French Heritage Festival at a variety of locations around Abbeville. You’ll enjoy an artisans market, a wine social, music, historical speakers, a puppy parade, an international car show, a bike ride, and much more! For more information call (864) 366-2158 or visit http://www.abbevillefirst.com/event/2017-french-heritage-festival/. April 21 – 23 – Stone Soup Storytelling Festival at various locations in Woodruff. If you love a good story, here is your chance to hear tales from some of the best storytellers in the business! For more information visit https://www.stonesoupsc.com/schedule. April 21 – 23, 28 – 30 – “Getting Sara Married” at the Oconee Community Theatre in Seneca. This humorous production is about Sara, a mid-30’s lawyer who is too busy for romance, but whose Aunt is determined to see her single status changes. For more information call (864) 882-1910 or visit http://www.oconeetheatre.org/shows.html. April 22 – Firing on Fort Sumter at the American Legion Hall at Duncan Park in Spartanburg. In memory of this significant event, a ball is being held with period dance and traditional live music. For more information visit http://www.freewebs.com/sumterball/. April 22 – Greer Goes Global International Festival at Greer City Park in Greer. Here’s a chance to learn about the cultures of the Upstate with live entertainment, sports, crafts, food, and Country tents. For more information visit https://www.facebook.com/events/1055956171110605/. April 22 – “Love Him Anyway” Book Signing at Barnes and Noble on Woodruff Road in Greenville. Abby Banks will be on hand to sign her new book and have a discussion, with their also being a book fair with proceeds to benefit the Shriners. For more information call (864) 751-4844. April 22 – Central Railroad Festival in downtown Central. Take a tour of the Railroad Museum, enjoy local food, arts and crafts, entertainment, and rides for the kids. For more information call (864) 654-1200 or visit http://centralrrfestival.org/. April 22 – “Guy Penrod” at the Walhalla Civic Auditorium. This gospel country artist has appeared at the “Grand Ole Opry” and was the top selling southern Gospel album in 2012. For more information call (864) 638-5277 or visit http://www.walhallacivic.com/events.html. April 22 – Spartanburg Soaring International Kite Festival at the Chapman Cultural Center in Spartanburg. This fun event will include kites flown by novice and professional flier, with contests, food, live music, and more! For more information call (864) 542-2787 or visit https://www.chapmanculturalcenter.org/pages/calendar/detail/event/c/e120/. April 23 – “”Government Mule” at the Peace Center Concert Hall in Greenville. This legendary Southern Rock band will provide you with a great evening of music from the 200 song repertoire. For more information call (864) 467-3000 or visit http://www.peacecenter.org/events/detail/govt-mule-1. April 28 – 30 – “Getting Sara Married” at the Oconee Community Theater in Seneca. Sara’s single and her Aunt is making it her business to get her niece married in this enjoyable comedy. For more information call (864) 882-1910 or visit http://www.oconeetheatre.org/. Through April 14 – “The 4th Cross” at the Narroway Theater in Fort Mill. This presentation tells the Easter story. For more information call (803) 802-2300 or visit https://www.narroway.net/dinner-shows/fourth-cross. April 12 – Lunch with an Astronaut at the Museum of York County in Rock Hill. Families will have the chance to have a pizza lunch with astronaut Tom Jones who will speak and will answer follow up questions. For more information call (803) 909-7244 or visit http://chmuseums.org/event/2187/. April 12 – Ask an Astronaut at the Museum of York County in Rock Hill. Spend an evening enjoying a talk by astronaut Tom Jones and having him answer your questions about his missions and what it’s like to be an astronaut. For more information call 9803) 909-7244 or visit http://chmuseums.org/event/2188/. April 13 – Great Easter Egg Classic at Cherry Park in Rock Hill. This event is for kid’s ages 2 to 11 to provide them with a chance to hunt for Easter eggs! For more information visit http://www.wrhi.com/events/easter-egg-classic. April 15 – Easter Egg Hunt at Swan Lake Iris Gardens in Sumter. Bring the kids for an Easter egg hunt while enjoying the beautiful lake and gardens! For more information call (803) 436-2500 or visit http://www.sumtersc.gov/sumter-county-easter-egg-hunt-2017-04-15. April 15 – Easter Bunny Eggspress Train Rides at the South Carolina Railroad Museum in Winnsboro. You’ll have the chance to enjoy a 70 minute train ride, meet the Easter bunny, get a face painting, hear a story, and more! For more information call (803) 635-9893 or visit http://www.scrm.org/. April 15 – “Alice in Wonderland” at the Etherredge Center in Aiken. Presented by the Aiken Civic Ballet, this will be a fun and exciting performance! For more information call (803) 641-3305 or visit http://etherredge.usca.edu/?trumbaEmbed=date%3D20170403#/?i=1. April 15 – Historic Stable and Barn Tour meeting at Rye Patch in Aiken. This tour will take you to see the stables of some of the iconic race horses that came from this area who all trained on the Aiken Racing Track. For more information call (803) 643-2121 or visit http://www.visitaikensc.com/calendar/event/historic_stable_barn_experience. April 15 – 16 – Spring Fever Dressage Show at the Stable View Farm in Aiken. This is a two day regional championship qualifier, so come out and support the competitors. For more information call (803) 356-3173 or visit http://stableviewfarm.com/wp-content/uploads/2013/10/Apr-2017-Prize-List16.pdf. April 19 – 30 – Aiken Spring Classic Horse Show at the Highfields Event Center in Aiken. This event brings people from all over the country and even some foreign countries to compete at the Premier level. For more information call (803) 649-3577 or visit http://www.visitaikensc.com/calendar/event/aiken_spring_classic_finale. April 20 – Kershaw County Music Association Spring Instrumental Showcase at the Fine Arts Center of Kershaw county in Camden. This event is in support of musicians throughout Kershaw County. For more information call (803) 425-7676 or visit http://www.fineartscenter.org/events/2017/04/20/KCMASpring2017/. 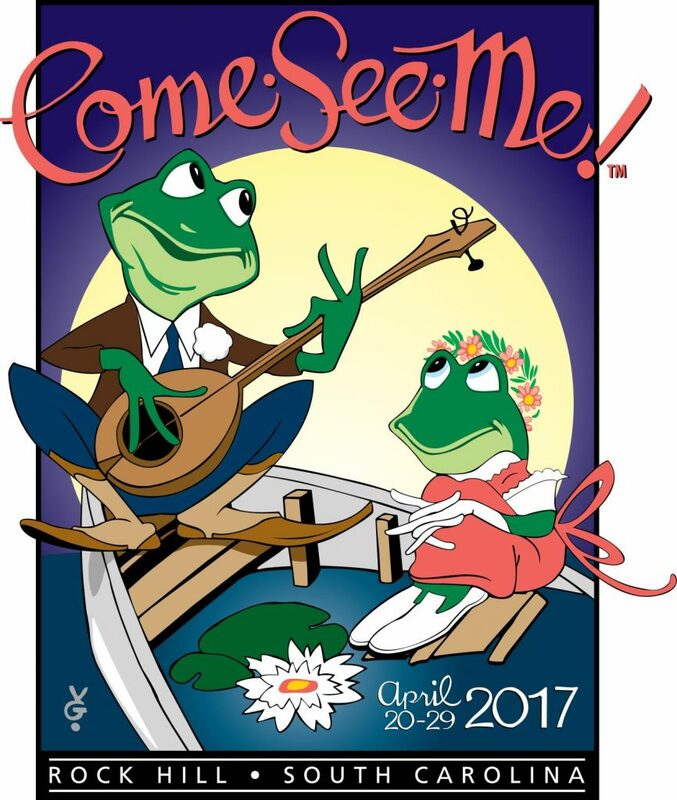 April 20 – 29 – Come-See-Me Festival at various locations around Rock Hill. This event offers something for everyone, including chalk drawing on Main Street, a milkweed seminar and butterfly release, gymnastics camps for kids, a road race, lots of live music, and so much more! For more information call (803) 329-7625 or visit https://www.comeseeme.org/. April 21 – “Ran’D Shine” at the Sumter Opera House in Sumter. This tremendous magician will absolutely captivate you! For more information call (803) 436-2616 or visit http://www.sumtersc.gov/the-sumter-opera-house-presents-rand-shine-2017-04-21. April 21 – 22 – Clarendon County Striped Bass Festival at the Weldon Auditorium. This fun festival will include, of course, a fishing tournament, but also a parade, live entertainment, dances, boating events, crafts, food, and much more. For more information call (803) 435-4405 or visit http://www.clarendoncounty.com/stripedbass.php. April 21 – 22 – Manning Lions Club Fish Fry at the Manning Restaurant in Manning. Come out for some a great meal and support this wonderful organization. For more information call (803) 473-4377. April 21 – 22 – “Lublow Fair and the Whole Shebang” at the Etherredge Center in Aiken. These two plays will provide you with a fun evening of entertainment. 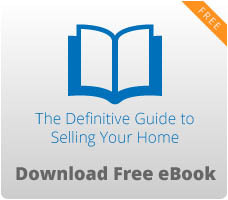 For more information call (803) 641-3305 or visit http://etherredge.usca.edu/home/#/?i=1. April 21 – 23 – Under the Crown and Colonial Trades Fair at the Living History Park in North Augusta. Here is a chance to learn what life was like in Colonial America with demonstrations and live exhibits, with a chance to learn Colonial dances, visit an apothecary shop, learn about meat smoking, woodworking, gunsmithing, and so much more! For more information call (803) 279-7560 or visit http://www.colonialtimes.us/. April 22 – “James Gregory” at the Newberry Opera House in Newberry. Here’s your chance to fill your evening with lots of laughter with the “funniest man in America!” For more information call (803) 276-6264 or visit https://www.newberryoperahouse.com/shows-and-events.html?show_name=james-gregory-new-date. April 22 – Earth Day Aiken at the Newberry Street Festival Center in Aiken. Celebrate this historical day starting on Friday by turning out your lights for the evening, participating in a 5K run, viewing exhibits, listening to music, a puppet show for the kids, among other kids activities, and of course, food. For more information call (803) 642-7767 or visit http://earthdayaiken.org/. April 22 – Aiken Wine and Sign at the Aiken Conference Center in Aiken. This fundraising event will include author and their books, refreshments, raffles, music, and fresh made goodies and sandwiches. For more information call (803) 761-2860 or visit http://www.diannshaddoxfoundation.org/aiken-wine–sign-book-signing.html. April 22 – Mead Hall Strawberry Festival at the Aiken Prep Campus on Barnwell Street in downtown Aiken. Come out and get some fresh strawberries, strawberry made goodies, activities and games, crafts, baked goods, and more! For more information visit strawberryfestival@meadhalschool.org. April 22 – Pork in the Park in downtown Newberry. Come out a try some of the best BBQ’s in the Southeast while enjoying live bluegrass music and the kids play in the inflatables. For more information call (803) 321-1015 or visit http://www.cityofnewberry.com/area-attractions/annual-events/pork-in-the-park. April 22 – Southern Sound Series: “The SteelDrivers” at the McCelvey Center in York. Just last year this group received a Grammy Award for Best Bluegrass Album, so this isn’t an event you’ll want to miss! For more information call (803) 909-7244 or visit http://www.chmuseums.org/event/2139/. April 23 – “Atlanta Pops Orchestra with Chloe Agnew” at the Newberry Opera House in Newberry. After the rescheduled January event, they are finally coming and are being joined by one of the fabulous Celtic Women. For more information call (803) 276-6264 or visit https://www.newberryoperahouse.com/shows-and-events.html?show_name=atlanta-pops-orchestra-f-chloe-agnew. April 25 – Banksia Tour at the Aiken County Historical Museum in Aiken. Learn how the Museum has changed over the last 86 years from being a library, a University, and even a private home. For more information call (803) 642-2015 or visit http://aikenmuseum.us/event/769/?instance_id=1809. Through April 16 – Horry County Fair at the Myrtle Beach Speedway in Myrtle Beach. This will be a week filled with loads of fun, to include entertainment, concerts, rides, food, an interactive butterfly exhibit, a chance to drive or ride in a real NASCAR, and much more! For more information call visit http://www.myrtlebeachspeedway.com/hcfair/. Through April 16 – “Gee’s Bend: From Quilts to Prints” at the Franklin G. Burroughs-Simeon B. Chapin Art Museum in Myrtle Beach. For more information call (843) 238-2510 or visit http://myrtlebeachartmuseum.org/envira/gees-bend-from-quilts-to-prints-2016-17/. Through April 22 – Festival of Houses and Gardens at various locations throughout Charleston. Here is your chance to tour some of the most fabulous houses and gardens in the Charleston area. For more information call (843) 722-3405 or visit http://www.charlestoncvb.com/events/70th-annual-festival-of-houses-and-gardens-~8749/. April 13 – iFiveK at Riverfront Park in North Charleston. This run is a networking event for Charleston tech professionals with proceeds to benefit CODECamp scholarships and other education related programs. For more information call (843) 579-7659 or visit http://www.ifivek.com/. April 13 – Hops and Vines at the McLeod Plantation Historic Site in Charleston. Explore this beautiful plantation while enjoying wine, beer, and live music! For more information call (843) 795-4386 or visit http://ccprc.com/calendar.aspx?EID=7144. April 14 – 30 – “Sister Act” at the Dock Street Theatre in Charleston. This Broadway musical about a women placed in a convent under the witness protection program will fill you with laughter! For more information call (843) 577-7183 or visit https://www.charlestonstage.com/shows-and-tickets/the-shows/45-sister-act.html. April 15 – “Big Sean: I Decided Tour” at the House of Blues in Myrtle Beach. You won’t want to miss this amazing Rap artist! For more information call (843) 272-3000 or visit http://www.houseofblues.com/myrtlebeach/EventDetail?tmeventid=0E005194C6C04A15&offerid=40999. April 15 – “The Chainsmokers” at the North Charleston Coliseum in North Charleston. With their top 40 songs, such as “Don’t Let Me Down” and “Closer” this is guaranteed to be an awesome concert! For more information call (843) 529-5000 or visit https://www.northcharlestoncoliseumpac.com/events/detail/the-chainsmokers. April 15 – “Motown: The Groove that Changed America” at the Charleston Music Hall in Charleston. This performance is to celebrate MOTOWN and its unique rhythm and groove that chance American music. For more information call (843) 853-2252 or visit http://www.charlestonmusichall.com/event/1422743-motown-groove-that-changed-charleston/. April 15 – The Hat Ladies Easter Promenade on Broad Street in downtown Charleston. If you are one of those ladies that love to wear a hat, but feel uncomfortable wearing one in today’s society, this is just the event for you to wear that favorite hat you’ve kept hidden away. For more information call (843) 762-6679 or visit http://www.hatladies.org/. April 15 – Soft Shell Crab Festival and Charity Crab Race in Port Royal and Beaufort. Come to Port Royal and savor a variety of chef specialty cooked soft shell crab dishes while enjoying live entertainment, and also take the opportunity to participate in or just watch the fun crab races down Battery Creek in Beaufort. For more information call (843) 717-3090 or visit http://www.portroyalcrabrace.com/. April 15 – Kiawah Kids Triathlon at Night Heron Park on Kiawah Island. Kids ages 3 to 14 will have the chance to challenge themselves on a course designed for their age group with swimming in the park pool and running and bike riding on trails around the park and/or on the beach. For more information call (843) 768-6001 or visit http://www.kiawahresort.com/featured-events/2015-01-20-18-38-55/kiawah-kids-triathlon. April 15 – Unveiling McLeod: Women of McLeod at the McLeod Plantation Historic Site in Charleston. Learn about the role and complex relationships of the women of McLeod Plantation especially after the abolishment of slavery. For more information call (803) 795-4386 or visit http://ccprc.com/Calendar.aspx?EID=7378&month=3&year=2017&day=24&calType=0. April 15 – 16 – Art in the Park at Chapin Park in Myrtle Beach. This fun event will offer you the chance to see a myriad of offerings from a variety of local crafters and artisans providing you with something to take home from your visit to Myrtle Beach. For more information call (843) 446-3830 or visit http://wacg.org/events-myrtle-beach/. April 18 – “Chicago” at the Gaillard Center in Charleston. This Broadway show, not the band, won six Tony Awards and a Grammy and will take you back to the roaring ‘20’s with murder and corruption. For more information call (843) 724-5212 or visit http://www.gaillardcenter.com/buy-tickets/d74a368c-2762-4941-bafc-dda23fce5baf/chicago.html. April 18 – “Dark Star Orchestra” at the Charleston Music Hall in Charleston. This talented group of musicians will fill your evening with a “Grateful Dead” experience. For more information call 9843) 853-2252 or visit http://www.charlestonmusichall.com/event/1393599-dark-star-orchestra-charleston/. April 19 – Low Country Coin Club Meeting at the Felix C. Davis Community Center in Charleston. If you are a coin collector, you’ll want to take this opportunity to meet other collectors. For more information call (843) 795-4386 or visit http://www.lowcountrycoinclub.com/. April 19 – Wine Down Wednesday at the Old Towne Creek County Park in North Charleston. Take a middle of the week break and come out for some wine, food, and live entertainment! For more information call (843) 795-4386 or visit http://ccprc.com/1724/Wine-Down-Wednesday. 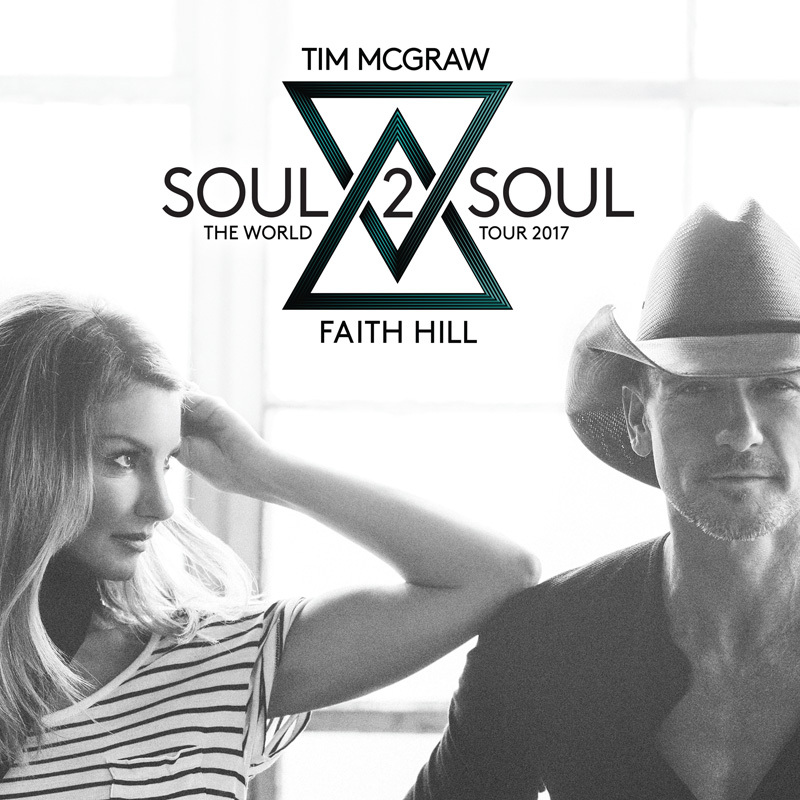 April 20 – “Soul 2 Soul World Tour: Faith Hill & Tim McGraw” with special guest “Need to Breathe” at the North Charleston Coliseum in North Charleston. America’s favorite Country Music couple is finally coming to South Carolina, so get your tickets before they sell out. For more information call (843) 529-5000 or visit https://www.northcharlestoncoliseumpac.com/events/detail/soul-2-soul. April 20 – 23 – Charleston Race Week at the Charleston Harbor Marina in Charleston. This is the biggest keel boat race in the Country, so come check it out! For more information call (843) 284-7062 or visit https://www.charlestonraceweek.com/. April 21 – 23 – Charleston Outdoor Festival at James Island County Park in Charleston. This annual event will provide you with a chance to get outdoors, try new things, like archery, paddle boarding, kayaking, mountain climbing, and more, or just do those things you already enjoy in this beautiful setting with entertainment, vendors, and even some competitions. For more information call (843) 795-4386 or visit http://ccprc.com/1542/Charleston-Outdoor-Fest. April 21 – 29 – ArtFields at various locations around Lake City. This event is to honor the artists of the southeast in over 40 different venues and provide a chance for them to complete for over $100,000 in prizes. For more information call (843) 374-0180 or visit http://www.artfieldssc.org/attendees/events/. April 21 – May 7 – “Play Me, I’m Yours” at the Wilcox Plaza in Florence. This event has been placed in 50 cities around the world and Florence has been chosen, with twenty-three decorated pianos being placed throughout the city for anyone to sit down and play. For more information call (843) 260-6210 or visit http://streetpianos.com/florence2017/. April 22 – Mullet Haul Trail Run at the Mullet Hall Equestrian Center at James Island County Park in Charleston. This is a 5K, 10K, and 10K relay on some beautiful low country trails, with a post-race celebration of food, beverages, and live entertainment. For more information call (843) 795-4386 or visit http://ccprc.com/1391/Mullet-Haul-Trail-Run. April 22 – Palmetto Pump and USA Climbing Competition at James Island County Park in Charleston. More than 70 climbers from around the mid-Atlantic region and the southeast will complete in this USA Climbing Sanctioned Event. For more information call (843) 762-9511 or visit http://ccprc.com/1242/Palmetto-Pump-USA-Climbing-Competition. April 22 – Walk for Autism at Hampton Park in Charleston. Come out and help raise money for a great cause! For more information call (843) 469-3507 or visit https://runsignup.com/Race/SC/Charleston/WalkforAutismCharleston. April 25 – 26 – “Mamma Mia” at the North Charleston Performing Arts Center in North Charleston. This fantastic musical combines songs by “Abba” with an enchanting love story of laughter and friendship. For more information call (843) 529-5000 or visit https://www.northcharlestoncoliseumpac.com/events/detail/mamma-mia. April 29 – Taste of James Island at the First Baptist Church of James Island Athletic Practice Field in Charleston. This is a fun event that includes a variety of churches creating tantalizing foods, providing a variety of entertainment, including kids activities all to collect canned goods for the food pantry of James Island Outreach. For more information call (843) 762-3653 or visit http://jioutreach.org/taste-of-james-island/. April 29 – Taste of the Coast at the House of Blues in North Myrtle Beach. This family fun event will include foods from the best restaurants in the area, along with local live entertainment, and lots of kids activities! For more information call (843) 272-8163 or visit http://www.tocnmb.com/.